Submodel aggregation, providing a convenient way to create submodels from selected sets of components in a few clicks of the mouse. This feature will be elaborated further in a future Tech Blog article. 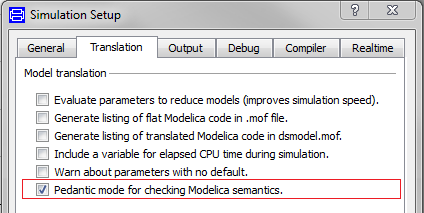 Pedantic flag, this translation option (shown below) forces a model to be compliant with the semantics of the Modelica 3 language specification. Improved initialisation, especially for fluid systems, through the Modelica homotopy operator. The starting guess values for the homotopy iterations are generated when symbolically processing the systems of equations. FMU Export and the Dymola-Simulink interface are now supported on Linux operating systems. Improved presentation of messages during checking, translation and simulation. The messages are now displayed in a hierarchical tree as shown below; this allows the messages to be expanded or collapsed. 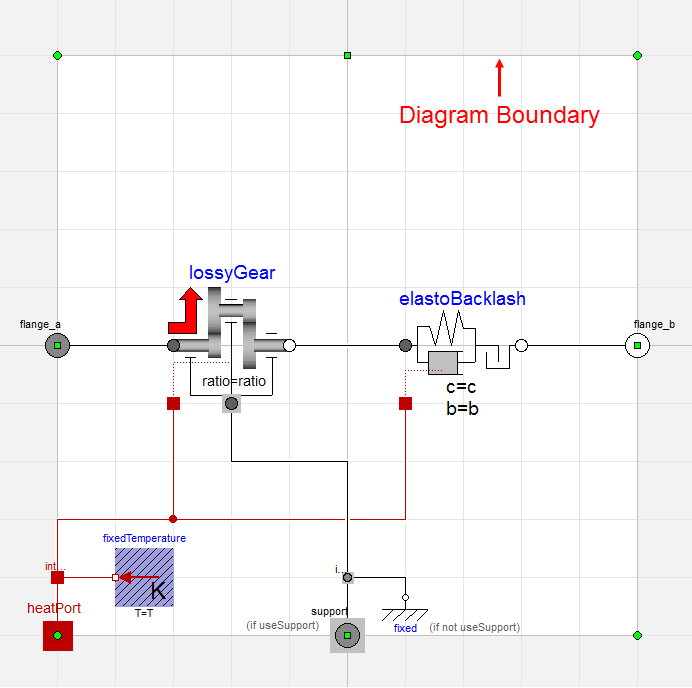 Improved user interface for resizing the working area in the Diagram and Icon layers. The diagram boundary can be resized by clicking on the boundary and the dragging the handles, shown as green boxes below. 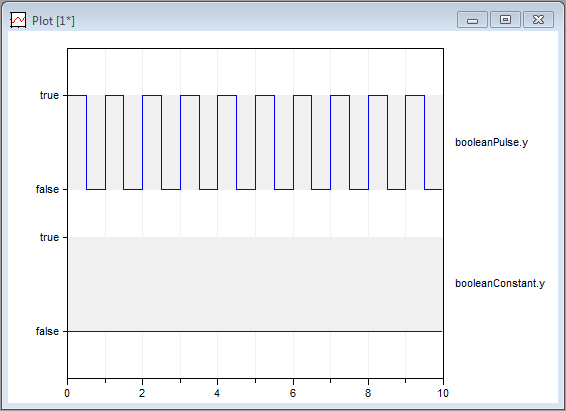 Improved display of Boolean and enumeration signals in the plot window, as illustrated in the plot beneath. 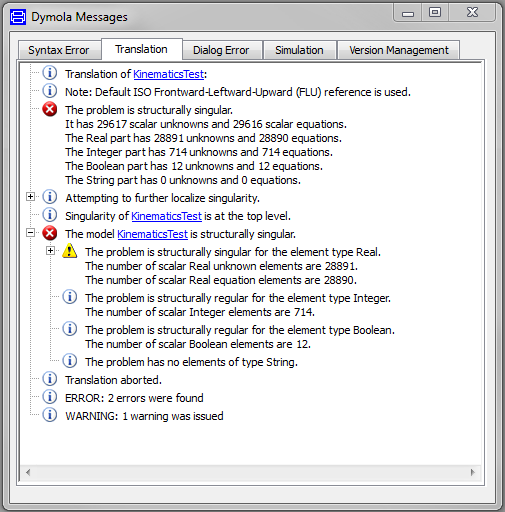 Also, a number of the libraries have been updated for Dymola 2013 release. This includes minor updates to AirConditioning (v1.8.2), FlexibleBodies (v2.0.1), Hydraulics (v3.2.1) and SmartElectricDrives (v1.4.4). With significant updates to Optimization (v2.1) and Vehicle Dynamics (v1.6).